Family bakers are preparing for the upcoming holidays so I thought that I would give you an old family recipe for one of my favorites…minced meat! 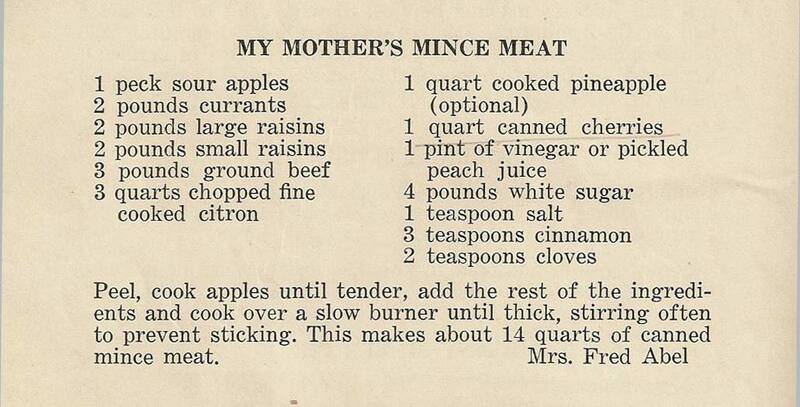 This recipe is from my grandmother, Rhoda Timmer Abel’s church cookbook. She credits her mother, Ida deZwaan Timmer with this recipe. You can see her photo here. Gram’s cooking. . .not so good.